I have been looking for the perfect pair of readers for a while now. 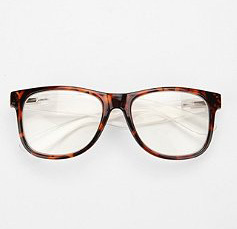 I was looking for a pair that made me look smarter and were under $20 (these were to be for fun - no prescription necessary). After stalking Urban Outfitters for what seemed like months, or since June, I came across the perfect pair last week called Clarkeye Readers for a mere $14. 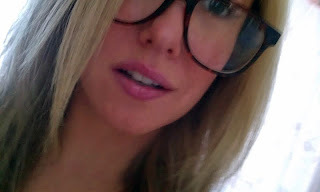 I am convinced that these make me look smarter instantly. They even manage to make my shoes and makeup appear intelligent.. If you wear glasses you already know that eye makeup can be tricky; heavy makeup can look, well, heavy, while not enough makeup may not give your eyes the attention they deserve. 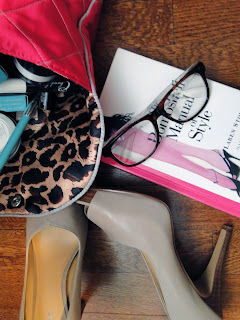 Check out this great article from Allure.com on the best way to wear eye makeup with your glasses! I very much recommend these to anyone looking for a fun pair of faux glasses. Also, through August 25th you can get free shipping on all orders with promo code FREEFALL. So lucky - I think I paid $5.95 for shipping.